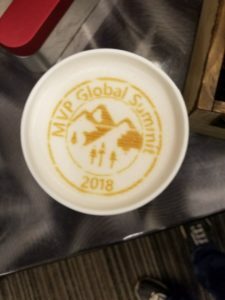 Last week, I was out at the Microsoft MVP Summit in Redmond, Washington. As many people know, I’ve been a Microsoft fan all of my life, so going out to the main campus is like a pilgrimage to me. 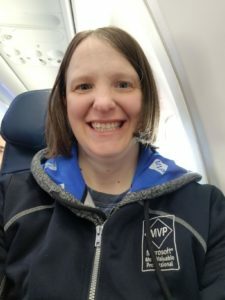 I made sure to wear some of my MVP gear on the flight out, as it’s a good way to find other MVPs. 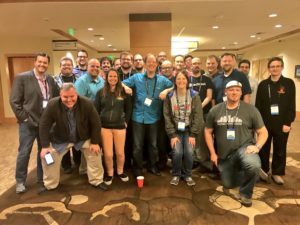 While there were none flying from my starting spot, I met up with a bunch of MVPs – Azure, Outlook, Visual Studio – in Detroit. Some of the many things I enjoy about the MVP Summit are the opportunities to network with others. From spending time talking with our Microsoft product teams to talking with other MVPs and our regional directors – who don’t have regions (except #code_regions), don’t direct anybody (except themselves) – it’s a wonderful week of what I like to call the “meeting of the minds”. Whether we’re on campus or off campus, talking or hacking on code, there are plenty of opportunities to network. It’s a week where even us introverts make the best of it, at the risk of draining our batteries. It’s well worth it! This year, I was thankful that the KCDC crew – Jeff, Jon, and Lee – told me that there was an organizers gathering. #MetaConference had event organizers that we knew of come together to share our problems that we face as a community. From diversity in speakers to diversity in topics, how to address things like mothers’ rooms and childcare, finding sponsors, and a variety of other issues, a lot of important conversations were started. I volunteered to take notes – as I enjoy doing that. So if you’re interested in the notes from the meeting, let me know and we’ll get you more details. It’s good to see just how many different events – hackathons, user groups, conferences of varying sizes – we run and yet how we all have similar issues. Words can’t explain just how in awe I am every time I step foot on Microsoft’s campus. It’s beautiful – rainy, sunny, or otherwise. It was nice to get around on campus and see it after years being away (no Summit in 2017 and I missed 2016 thanks to my husband’s IT conference). If you ever make it on to Microsoft’s campus, see if you can stop in the Visitors Center. You never know what you’ll find on display. 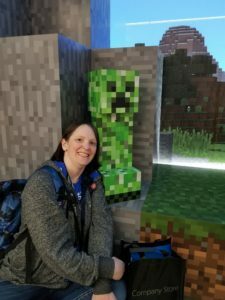 Who knows – you may even spot a creeper! The product teams are great hosts – truly taking in feedback and encouraging more feedback. Microsoft truly listens to the community, and MVPs can carry the feedback in person if needed. The NDAs are serious. We can’t tell you any details. We can’t tell our spouses, our friends, our employers, NO ONE. So please don’t take it personally if you try to pry for details – I value the trust that Microsoft puts in me to honor that NDA.